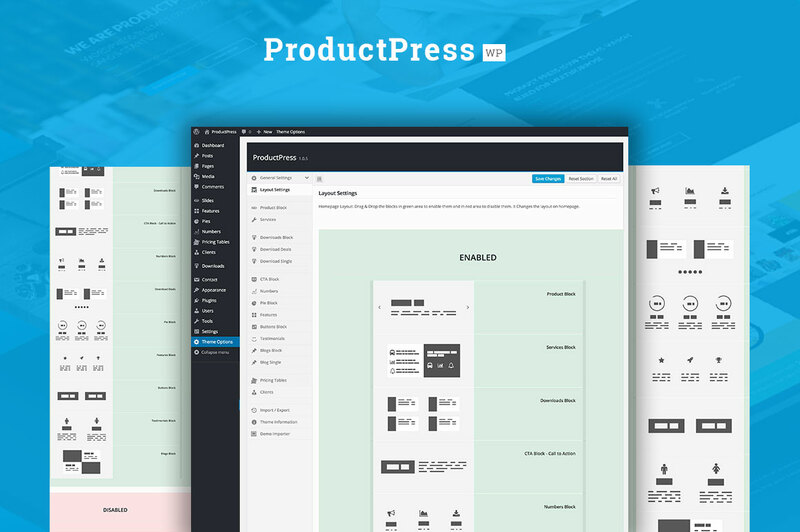 Buy ProductPress for $49 instead of $59 today. This sale will end sooner than you think. 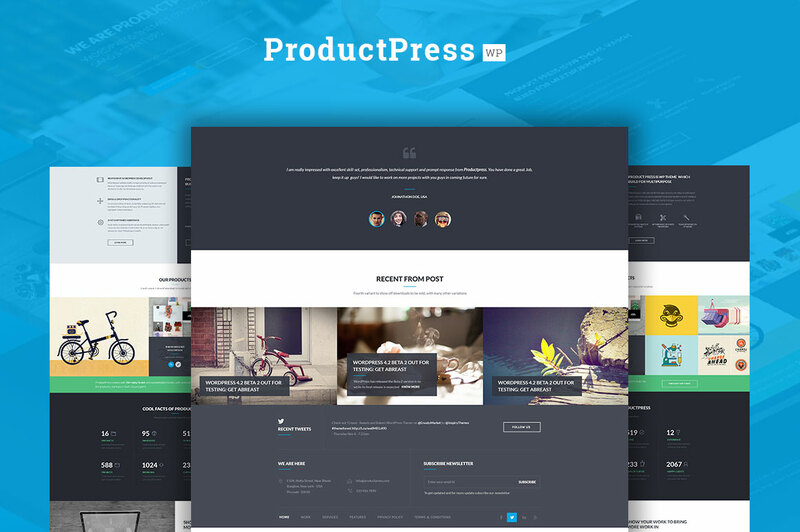 ProductPress is an Easy Digital Downloads theme for WordPress. [ProductPress] http://pp.wptie.com/ is based upon a blocks model. You get to enjoy a drag & drop interface where you can enable/disable any number of blocks. Each block represents a particular type of content. 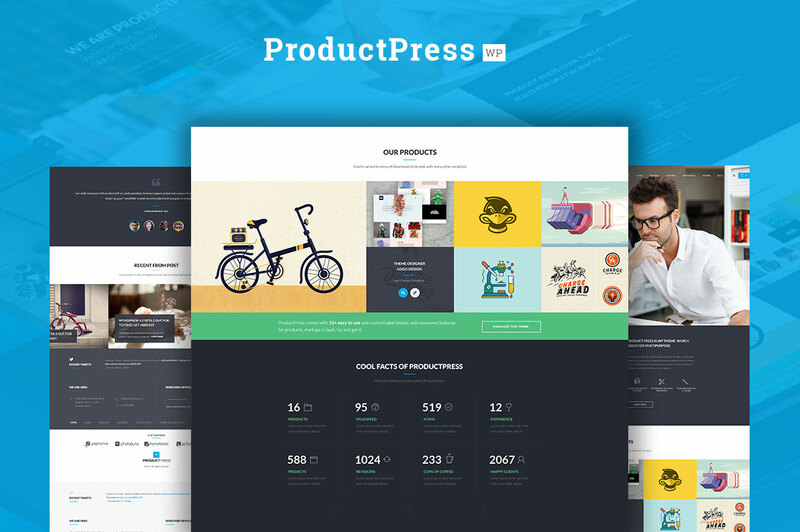 Let’s review what kind of blocks are present in ProductPress. Layout Settings Block: Inside this block you can drag & drop different blocks to enable or disable them. 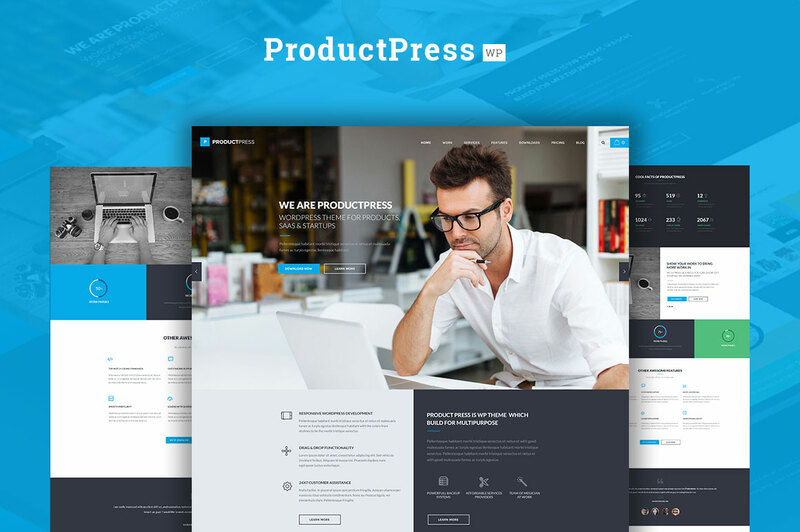 Product Block: This block is meant to be at the very top, to showcase your product, you can either set a video/image slider or a static page or else there is a pretty cool video slider with particles animation in the background. Services Block: This block is meant to add services you offer with your products, it offers two buttons and three icon places each with headings and descriptions. Features Block: In this block you can add features a feature consists of an icon, a heading, and a para to explain anything you want, you can even rename the block to whatever you desire. Pie Block: This block displays pie charts which can be used to display progress, of anything you want. Numbers Block: Sometimes you need to display numbers, E.g. the number of projects you completed or the number of orders your restaurant received, Numbers block helps you in this matter. Testimonials Block: This block can be used to show-off images of people, their names and some text, which could be used for displaying testimonials or your team members. Seriously sky’s the limit. Blogs Block: To show off latest posts from your blog, you can use this block at the homepage in Layout settings. Clients Block: Show off the logos of your clients or companies — sponsoring your event while you use ProductPress for creating an event’s website. Downloads Block #1: Creative Grid interface to sell your digital products. Downloads Deals Block: Feature download/product deals. 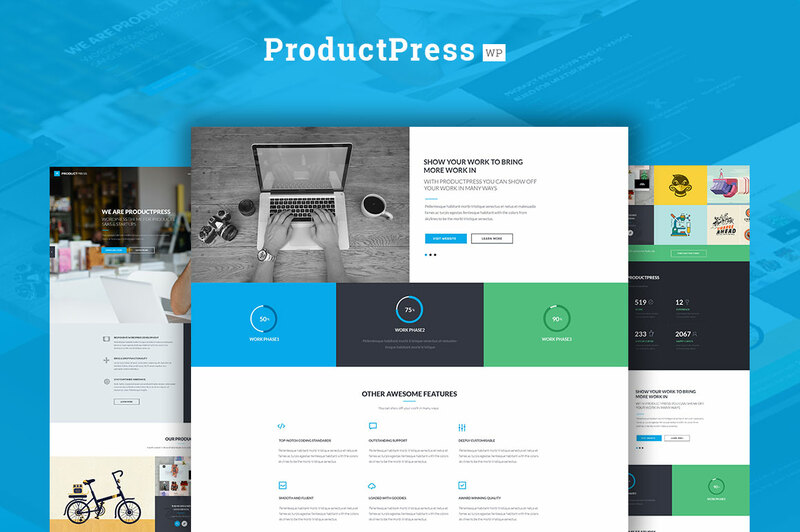 CTA Block: Demo Call To Action block for capturing leads, it features a big button and a few lines of text to help users buy your best products or packages. Buttons Block: Demo Want to add a button or two? This block will help you do just that. What can I do with these blocks? 30+ [shortcodes] http://pp.wptie.com/shortcodes/ featuring buttons, maps, accordions, tabs, toggles, grid columns, progress bars, social icons, video embeds, prompts, alert boxes, quotes etc.